Hello dear readers! From the beginning of my blog, i aimed to illuminate Azerbaijani people about the life in Ankara, Turkey. I have shown the pieces of Azerbaijani culture located in Ankara. In my this post, i interviewed with couple of Azeri students from Bilkent University. You will hear the experiences and advises from 3 different Azerbaijani students themselves. My purpose is to inform Azerbijani students back in Azerbaijan who desire to come to Turkey for educational purposes. In the attached video, me and the interviewers wanted to talk to you about the people and environment at Bilkent University, which is one of the best colleges in Turkey. In the video below, you will also find information about social and academic life at Bilkent University and generally Ankara. I hope you will enjoy the video and will find all the information given helpful. So, if you are ready, lets start discovering Azeri Bilkenters' lives and experiences! Hello dear readers! In my this post, i will be talking about the Azeri students studying in Turkey, especially at Bilkent University. So, if you are ready, lets enjoy the post! Firstly, i want to talk about the statistics of Azeri students being educated in Turkey. According to the Higher Education Board of Turkey there are more than fourty-eight thousand international students studying in Turkey generally and %14.8 of these students are from the Republic of Azerbaijan. 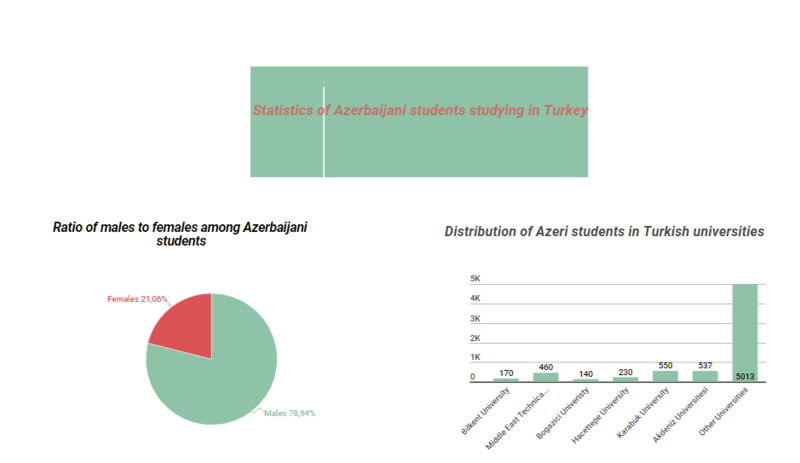 In the infogram below, you will find the detailed statistics of Azeri studens in Turkey. So, as you can see there are 170 Azeri students studying at Bilkent University, which is 2.4% of overall amount and 61% of them are males and the rest 67 students are females. The reason that Bilkent University has less Azeris than other universities is because Bilkent is private univeristy and it is located in Ankara, which is considered boring by most of students. Secondly, i will be talking about the requirements that Bilkent University have for Azerbaijani student to enroll in the classes. As other international students, Azerbaijani student who want to enroll in Bilkent, should take Scholastic Aptitude Test and ought to get at least 1000 point out of 1600. Rather than than you should take either IELTS/TOEFL exams or PAE exam to get your proficiency on English. To be able to start the department, you should collect 6.5 IELTS or 83 point PAE. Until you get one of these proficiencies, students are taught English classes at English preparatory program on East campus. Ultimately, i want to talk about why Azeri students studying at Bilkent chose Bilkent. The first remarkable reason is that 80% of Azeri students have scholarship given by OSYM. Another reason is that Bilkent is considered one of top universities in Turkey according to QS rankings. Furthermore, being located in Ankara has many advantages for international students such as cheaper prices and more student-lover city. Other than all the opportunities that Bilkent satisfy for International students is that there international student clubs, which Azeris at Bilkent join frequently to have friends all over the world. There are also opportunities for Azeris to participate in Bilkent Symphony Orchestra. Ultimately, as other students, Azeris can join Exchange programs as well. Bilkent Symphony Orchestre with its Azerbaijani players celebrating the Independence day of Azerbaijan at Bilkent University. Hello dear readers! Today i will be talking about famous Azerbaijani people have lived and currently living in Turkey. There are businesmen, singers and etc. I will be showing you famous Turkish people who have origins to Azerbaijan. So, if you are ready, lets start the discovery! She was born in Izmir. Her mother is originally an Azeri. She is considered one of most successful actresses in current Turkish cinema. Even though she is just twenty-nine years old, she already participated in twelve serials as being lead actress in most of them. Tugba Ekinci was born in Kars. She is one of the famous singers living in Turkey who has origin back to Azerbaijan. We mostly recognize her with the song of "O Simdi Asker". She has published eight different albums so far. With the pop kind of songs of her, she has respect of most. She is one of the most popular Turkish model, presenter and actress who is half Azeri. Although she was born and grown in Istanbul, her father is origanally Azeri lived in Kars as well. She has played 7 serials and presented in 9 different shows in Turkey. 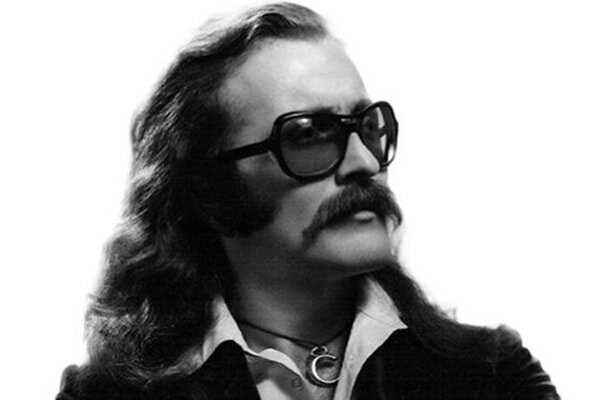 Muhtar Cem Karaca was a prominent Turkish rock musician and one of the most important figures in the Anatolian rock movement. He was the only child of Mehmet İbrahim Karaca, a theatre actor of Azerbaijani origin. He has played in 4 different films, and awarded 19 times. Since Turkey has good investment opportunities, there are many Azeri businessmen and entrepreneurs living in Turkey as well. Mubariz Mansimov is one of them. He became neutralized Turkish citizen in 2006. He is founder of Palmali Holding and has invested billions of dollars in Turkey. His name is also listed on Forbes list of billionairs and he is considered youngest billionaire in Turkey since 2009. Hello everyone! Today i will describe a regular and fun weekend of an Azeri living in Ankara. I will be talking about my program and showing you some pictures from my last weekend in this post. A regular weekend half spent by travelling to Istanbul and other half spent in Ankara with Azeris. So, lets keep it short and start enjoying! In Last weekend on Saturday, there was a derby match between Besiktas and Galatasaray. As a fan of Besiktas since my childhood, i could not miss the chance to watch the game. Me and my Azeri friends went to Istanbul by bus to watch the game which resulted in the win of Besiktas. It gave me amazing feelings to watch the team that i have ever dreamed of. During that game, i understood how ambition i was back in Azerbaijan and i felt satisfaction of this ambition while watching the derby. Here, there are some pictures that will always be one of my best memories. We were in Sairler Parki before the match. Those scarfs are the first products of the Association of Azerbaycan Kartallari. We finally got out scarf product after 3 weeks of design and work. ​After the victory in Istanbul, we came back to Ankara by bus but this time without my Azeri friends. When i got off in Ankara in the morning on Sunday, me as board member of Bilkent Unibjk and my other Turkish and Azeri friends went to the disabled basketball match of Besiktas with Hacettepe in Ankara. We cheered them during the game and gave them all the motivation we had even though we were too tired. These pictures can also be an induce for Azeri Besiktas fans who will be coming to Ankara because we still can feel Besiktas love in Ankara even though Besiktas mostly plays in Istanbul. These pictures should show Azeri Eagles that Besiktas is not just about football, there are disabled sportsmen who deserve more attention than anyone else. Regardless of you are Azeri or Turkish, we ought to show our support to these kind of sports and its players. After the tiring two days, i found myself in the meeting of ASA; Azerbaijan Society Association. ASA was actually established in 2014 but due to some personal issues, it was fragmented. This year my friends Nurlan Avazli and Meherrem Hasanov wanted to reorganize this society so that make close relationships between Azeris in Bilkent, Ankara. The meeting was actually collection of only Azeris and everyone was making their own suggestions and opinions about how to make this society stronger. If you are an Azeri living in Ankara, i am sure our national food is the first thing that you miss all the time. In this post, you will be introduced to 4 types of food serving in the most popular Azeri cafe in Ankara, Yahsi Cafe. This cafe was established by my friends in 2016 and they make you feel the Azeri culture not just by serving Azeri food but also serving Azerbaijani atmosphere. Lets keep it short and start tasting national Azeri food! Aş Qara is the one that i want to talk about first. The way Yahsi Cafe is making it is special. They firstly cook the rice and then dry it for half a day. After that they mix meat with greens and apricot and cook them together. Finally, they serve rice with meat on the top of it under the old classic Azeri songs. Yahsi Cafe's Aş Qara is the best of its kind, to be honest even better than my mom's. Moreover, prices are pretty low. Aş Qara is just for 18 tl. If you are an Azeri living in Ankara and if you miss your mom's Aş Qara, Yahsi Cafe should be your destination. Secondly, i will be talking about an inseperable part of Azerbaijani food culture, Qutab. In Yahsi Cafe there are 2 types of Qutab available; Meat Qutab and Green Qutab. They serve Meat Qutab with absolutely delicious meat. In Green Qutab, greens inside are well-cooked. They serve both Qutabs with sumac and ketchup. Finally, they crown it with pomegranate pieces. Since it takes time to cook, you should reserve it before you come here. Prices are also affordable especially for students. Meat Qutab is 5 tl, Green Qutab is 4 tl. Yahsi Cafe is the best place to eat Qutab if you miss Azerbaijan in Ankara. Üç bacı's Dolma will be last main food that i am going to talk about. I kept it to the last because i know most of Azeris love it most. In yahsi cafe, they serve it with fully cooked meat inside and they dont put as much oil as we used to, which is healthier. The taste of it does not let us miss Üç bacı in our hometown. They serve it with yogurt which is imported from Baku as well. They also dont forget to mix yogurt with garlic. Its price is as same as Aş Qara, 18 tl. Once you taste Üc bacı here, you will be one of Yahsi Cafe's loyal customers. Lastly, i will be talking about the desert, which is not Azeri-made but most loved desert for Azeris. Tort Napoleon is a Russian desert. Azeris started eating it during Soviet Union period. All Azeris have passion to it so that i kept it to the last. The owners of Yahsi Cafe transport its ingredients from Baku and Ganja. They give you black tea for free when you order Tort Napoleon. Its taste does not differ from those in Azerbaijan. Eating Tort Napoleon next to drinking black tea, under Azeri national songs... You literally forget that you are in a foreign country. Furthermore, its price is just 8 tl, which is pretty student-friendly. To conclude, i introduced you Yahsi Cafe and four different kind of food related to Azeri culture. If you have any hesitations about coming to Ankara, dont hesitate at all. We dont miss Azerbaijani culture in Ankara in terms of food and cultural atmosphere. I also want to tell you that you can make birthday organizations in Yahsi Cafe as well if you reserve. In terms of prices, as you can see, it is affordable either. Looking forward to tell you more about Azeri culture in Ankara on my upcoming posts. Thank you for reading. Welcome to the trip of Azerbaijan in the capital of Turkey. 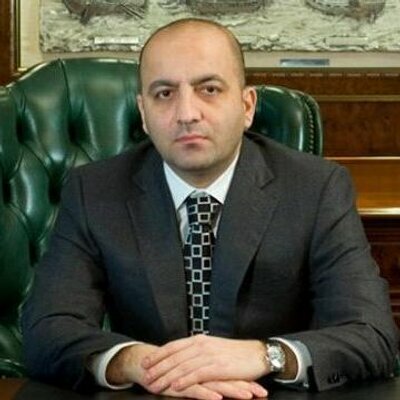 My name is Vusal Huseynov. I was grown in Baku, Azerbaijan but i have been living in Ankara since 2015. As most of you may already assume, i had to leave all my parents and friends behind, and start living on my own since young ages. It was challenging but i have Good News for you! If you are one of the Azeris, who is going to come to Ankara for the first time, let me tell you, you are lucky. During this fall, i will be showing you the best things to do in Ankara that will make you feel like you are in your hometown. You will be shown Azeri restaurants, cafes and anything related to Azerbaijan in Ankara. Lets get in and discover the pieces of Azerbaijan in the center of Turkey, Ankara.